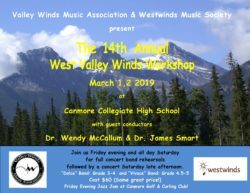 Join your musical friends at the 14th Annual West Valley Winds Workshop held in beautiful Canmore March 1, 2, 2019! 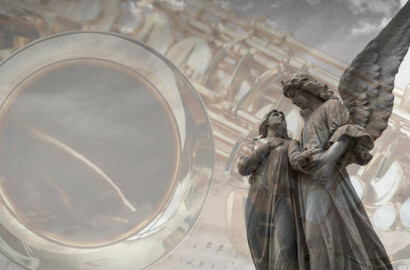 You’re Invited to the Cochrane Integrated Arts Society Kickstart Party! Come to the Showcase Display and explore the arts Cochrane has to offer Saturday, Sept 29, 2-5 pm at the Cochrane Ranche Clubhouse Activity Centre. See the CIAS website for more details about the Passport Contest, the Showcase Display, live music, the Interactive Wall of Arts and more. Refreshments included. 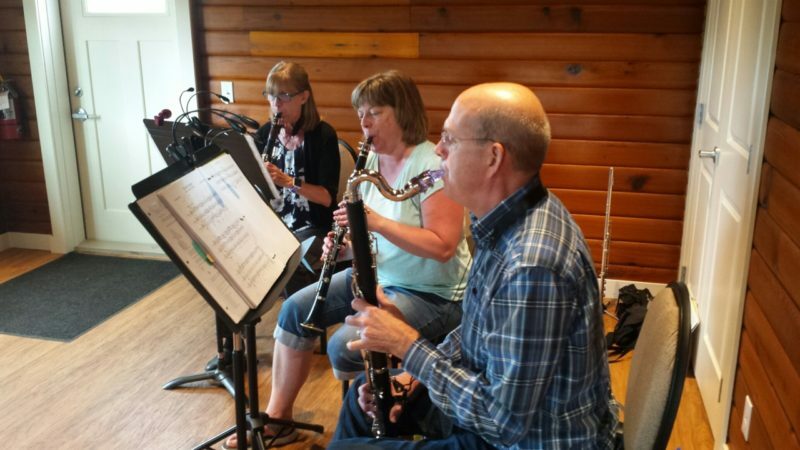 River Reeds will entertain at the Clubhouse 2:45-3:15pm. Thanks so much to all the CMS members who are helping to make this CIAS event a success!